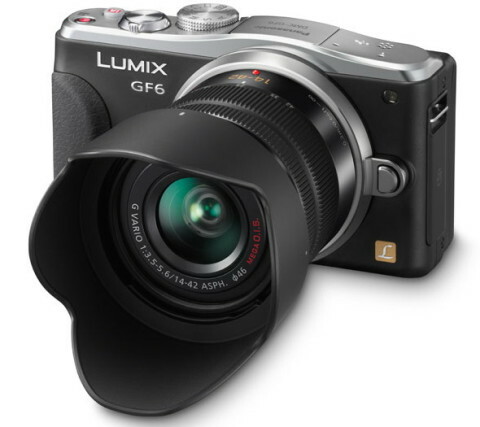 The Panasonic Lumix GF6 is a stylish and small entry-level mirrorless camera that replaces the old GF5. This Micro Four Thirds digital camera comes with a new 16 MP Live MOS image sensor and with a new Venus Engine processor that offer clear and high resolution photo imaging with low noise, and also high-performance signal processing and start-up speed. The Panasonic GF6 has a tiltable (to 180°) Touch Screen LCD with 1040k-dot resolution. The GF6 also has built-in Wi-Fi and built-in NFC (Near Field Communication) to allow setup of Wi-Fi connection with smartphones and other mobile devices. 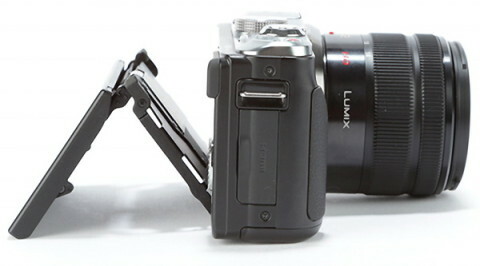 The Panasonic’s Image App allows the smartphone to be used as the camera’s remote control and viewfinder. 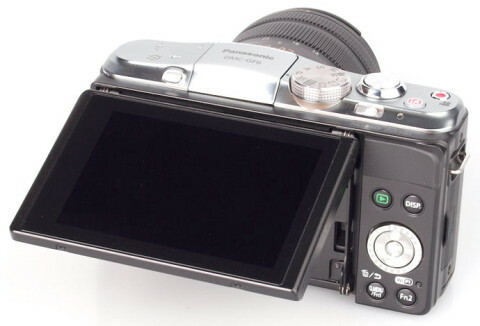 The Panasonic GF6 records Full HD 1920 1080 videos with high quality stereo sound in the AVCHD format. An one-touch dedicated button is present to immediate start video mode. The Lumix GF6 utilizes Contrast AF for its focus system, that boasts higher accuracy especially in shooting with wide aperture lenses, compared with the Phase Detection AF. The Creative Control Mode has now 19 filter options (compared with 14 in the GF5) with adjustable effect parameters. The Intelligent Auto Plus mode is also present and offers a variety of shooting-assist function including Face Recognition, Intelligent ISO control and AF Tracking. 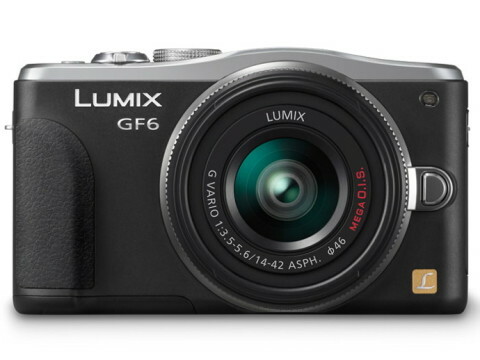 The Panasonic GF6 is available in black, silver or white. 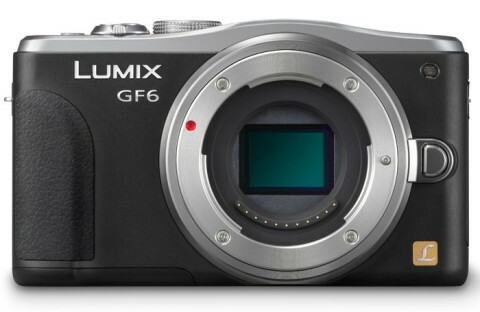 The GF6 is a small camera, with a compact kit zoom, flip-out screen and dedicated mode dial that allow the camera to be more point-and-shoot friendly compared with its predessor, the GF5. More about GF6 you can find dpreview.com website. The new Panasonic Lumix GF6 is an excellent compact system camera that offers more features and performs much better than its entry-level price-tag might first suggest. 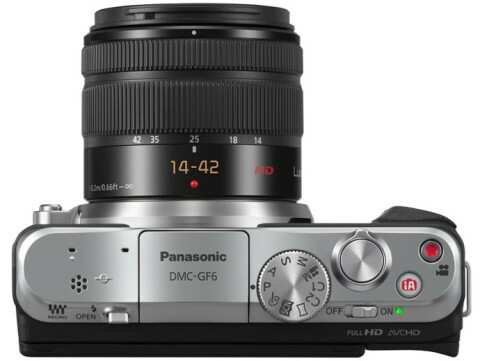 The Panasonic GF6 is one of the best compact system cameras currently on the market, especially for the beginner user. … Image quality is fantastic, while usability, thanks in part to the touchscreen and sensible menu system, makes it one of the more pleasurable cameras to shoot with. 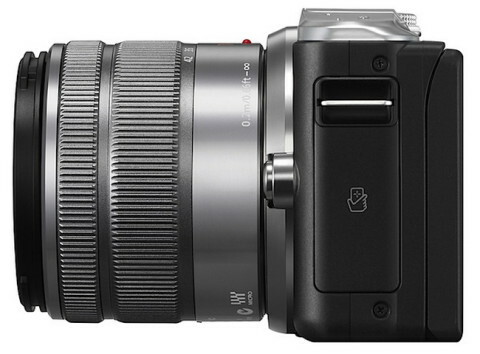 You can also see a lot of pictures taken with Panasonic GF6 in various conditions and with various settings on cameralabs.com website.